Parents, other families and other professionals have important roles to help people with communication and swallowing problems. At Advance Plus Therapy, we encourage parent, caregiver and family members involvement. 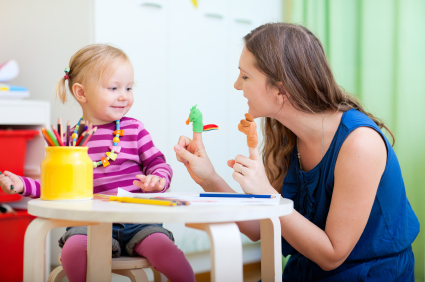 When parents, caregivers, and family members are given the tools to enhance their child’s or loved one’s language development, therapy continues at home when the Speech Language Pathologist is not present. Therefore, we offer training to parents, caregivers and families may assist with patients development. With training, parents, caregivers and families learn how to help their children and loved ones improve their quality of life. Training is also offered to other professionals such as doctors, teachers, counselors and other professionals. Training may be in therapy setting, workshop setting or professional development setting. During training, parents, family members and other professionals will learn about speech language and swallowing.